This week Nikolai Dante’s early adventures are released in the 2000AD Ultimate Collection produced by Hatchette. Art is by Simon Fraser, whose early work can be seen in 90’s Scottish stripzine ‘Atomic’. His story ‘Thievery For Fun and Profit’ can be read in later issues of the well respected small press title. You can access all back issues of Atomic online here. You can also access some of Simon’s early work, alongside Atomic creator and writer Tony Foster, in two unique student handbooks produced for Paisley University Students Association. The first features the popular Big Breakfast TV series. that launched the career of Chris Evans. You can read that here. The second features a galaxy of Hollywood Stars as well as Superman as depicted in the popular Lois and Clark TV series. You can read that here. Both publications were very popular with students and within the wider student movement, putting information across in a new and unique way. 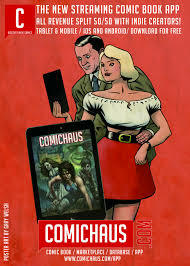 2000AD, Judge Dredd and Batman fans may also be interested in this early ComicsFlix project too – FilmGlasgow can be read here. Atomic and their popular character Captain Scotland recently made the news with the release of a new Captain Scotland story. Find out more and read the new short story here.